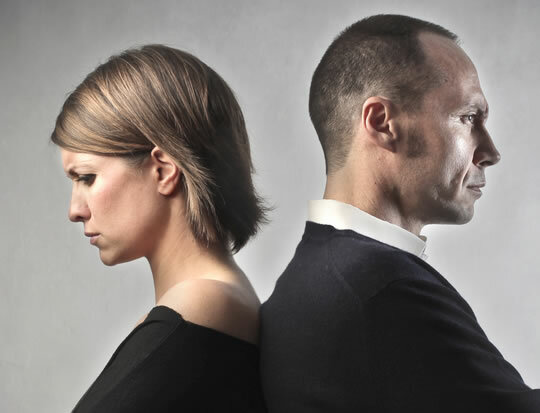 Continuously questioning a relationship wears both partners down. Being highly sensitive to rejection is damaging to relationships, research finds. People who are sensitive to rejection frequently think about their partner leaving them. They worry that revealing their true self will lead to rejection. This means that they are constantly on the lookout for any signs of displeasure in their partner. The continuous questioning of the relationship wears both partners down. Naturally, then, this thinking style is linked to lower levels of relationship satisfaction, the psychological research reveals. The results come from a study of 217 young people who had been in relationships for at least three weeks. The more anxious people are in these sorts of situations, the higher their fear of rejection. One typical reaction of people who fear being rejected is to reject the other person first by cutting them off. It’s like a pre-emptive strike. Emotionally cutting the other person off, though, turns out to be a bad move, the researchers found. People who did this were even less satisfied with their relationship. In other words, by pushing the other person away, you are hurting yourself to try and avoid hurting yourself — which clearly makes no sense. Other typical reactions to perceived rejection are coercion and compliance. “Coercion involves verbally and/or physically aggressive acts meant to force romantic partners to remain in the relationship. Both of these are also poor ways to deal with feelings of insecurity. Instead, the best way to deal with being sensitive to rejection is to be aware of it and when it is happening. Awareness is the first step to changing a behaviour. Sensitivity to rejection frequently goes along with a weak sense of self. This is especially prevalent among young people whose identities are not yet strongly formed. People with stronger and better developed identities tend not to fear rejection as much. They have an ability to balance their dependence and independence healthily. The study was published in the journal Couple And Family Psychology: Research And Practice (Norona & Welsh, 2016).